Honey known as rosemary honey is honey produced by bees when they are liberated from rosemary flowers. This is a very aromatic, woody and evergreen shrub, which can reach 2 meters in height. Rosemary honey has a thick texture and has a color that reminiscent of amber. Of course, when it crystallizes your texture becomes much harder, and its color becomes white. Precisely to modify its texture and make it more liquid we can choose to follow the same steps that we would follow with any other type of honey: warm "bain Marie", without reaching 40 ºC temperature. Honey known as orange honey is honey produced by bees when they are liberated from orange flowers. This is a very aromatic, mild and acidy aftertaste, which balances it well. 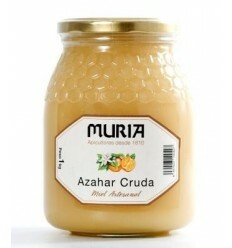 Orange honey has a thick texture and has a color that light amber. Of course, when it crystallizes your texture becomes much harder, and its color becomes white. Precisely to modify its texture and make it more liquid we can choose to follow the same steps that we would follow with any other type of honey: warm "bain Marie", without reaching 40 ºC temperature. Honey known as thousand flower honey is honey produced by bees from a variety of different flowers. This is a very aromatic and both intense. 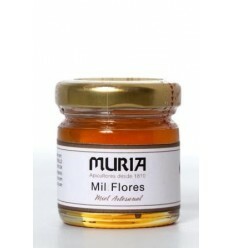 Thousand flower honey has a thick texture and has a color that normally amber colour. Of course, when it crystallizes your texture becomes much harder, and its color becomes white. Precisely to modify its texture and make it more liquid we can choose to follow the same steps that we would follow with any other type of honey: warm "bain Marie", without reaching 40 ºC temperature. Honey known as thyme honey is honey produced by bees when they are liberated from thyme flowers. This is a very aromatic, intense and bit peculiar. Thyme honey has a thick texture and has a color that reminiscent of dark amber colour. Of course, when it crystallizes your texture becomes much harder, and its color becomes white. Precisely to modify its texture and make it more liquid we can choose to follow the same steps that we would follow with any other type of honey: warm "bain Marie", without reaching 40 ºC temperature. Honey known as heather honey is honey produced by bees from fields of heather. This is a very aromatic, intense and persistent, it has a peculiar taste. Heather honey has a thick texture and has a color dark and red tones. Of course, when it crystallizes your texture becomes much harder, and its color becomes white. Precisely to modify its texture and make it more liquid we can choose to follow the same steps that we would follow with any other type of honey: warm "bain Marie", without reaching 40 ºC temperature. Honey known as oak honey is honey produced by bees in mountain areas, where oak trees can be found, which produce molasses. This is a very aromatic, intense anb like malt. 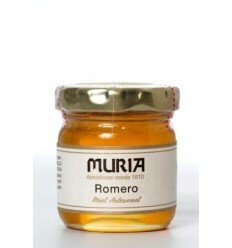 This honey with an essence from natural resins. Oak honey has a thick texture and has a colour dark amber. Of course, when it crystallizes your texture becomes much harder, and its color becomes white. Precisely to modify its texture and make it more liquid we can choose to follow the same steps that we would follow with any other type of honey: warm "bain Marie", without reaching 40 ºC temperature. Honey known as lavender honey is honey produced by bees from lavender fields. This is a very aromatic, intense and characteristic and it reminds you of lavender. Lavender honey has a thick texture and has a color that light amber. Of course, when it crystallizes your texture becomes much harder, and its color becomes white. Precisely to modify its texture and make it more liquid we can choose to follow the same steps that we would follow with any other type of honey: warm "bain Marie", without reaching 40 ºC temperature. Honey known as chestnut honey is honey produced by bees in areas with mostly chestnt trees. This is a very aromatic, like wood and a very pungent smell. Sometimes it can be a bit sour, but mild to the palate. Chestnut honey has a thick texture and has a color that reminiscent of amber or vey dark and with a red tone. Of course, when it crystallizes your texture becomes much harder, and its color becomes white. Precisely to modify its texture and make it more liquid we can choose to follow the same steps that we would follow with any other type of honey: warm "bain Marie", without reaching 40 ºC temperature.